In recent time lot of Start-ups started their journey especially in technology sector to tap the enormous opportunity coming in India due to strong economy growth. But only few of them succeeds in sustaining in the market. They survived as they offer best and unique technology products or solutions to Indian customers. Doel, a fastest growing Indian brand, has same success story. Doel was started in year 2015 to provide trusted and innovative ICT, Mobility & CE products & services to the organizations and end users. The brand established its feet in the market by offering some excellent products which were best and unique as well. Now the business has been diversified by Doel to boost its product range. 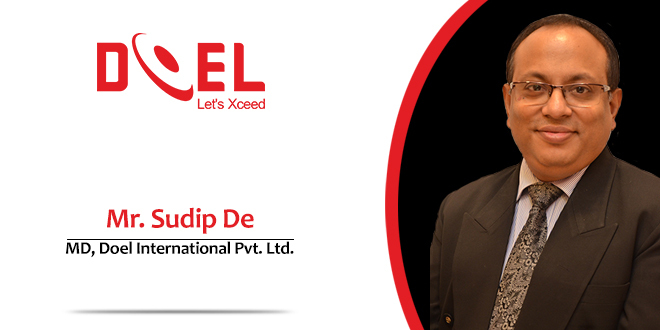 Sudip De, Managing Director, Doel International Pvt. Ltd. shares more about channel and product plan with DT. 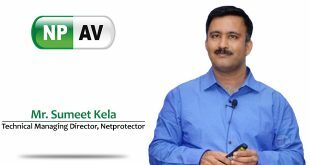 Mr. Sudip: 2018 has been an eventful year for Doel. With the help of our channel partners and corporate resellers, we managed to establish ourselves as a Telecom Accessories Brand. We added a lot of products namely, Data Cables, Wired Earphones, Bluetooth Earphones, Charging Adaptors and Bluetooth Speakers to our portfolio. We managed to double our revenues over the last FY and this was possible due to the support of our ecosystem. We also maintained a very healthy supply chain management thereby not letting excess inventory or vice versa. Mr. Sudip: We have Pan India Distribution network for both our Telecom Accessories and Printer Consumables Vertical. We have been focussing on growing with our distributors. Each one of them started with Doel on a very small scale to understand the products, company policy etc. But this year, each one of them has grown and are on an upward trajectory. We have a mix of state wise and city wise distributors. We work with only a single partner in a defined area. This gives them an opportunity to focus and grow with the brand. We are now focussing on the up-country markets with varied range of low-end earphones and cables. 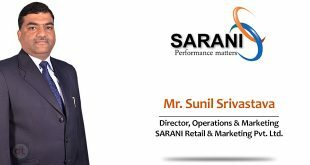 Mr. Sudip: We shall add 2 – 3 more products in our portfolio and then consolidate all the products till we reach SKU wise threshold levels. We shall strive to satisfy our Customers and end consumers by providing them utility products at an affordable price without compromising on the quality. DOEL has been consistently striving to provide quality products. We also need to adapt with Technology and aspire to be amongst the early brands to get a newer technology into the country. We at Doel are also equally focussed on Printing Consumables, and Photo Copier Toner Powders. 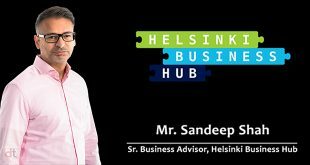 In this vertical, we have a large no of partners who have good domain expertise and help us to position our products well. 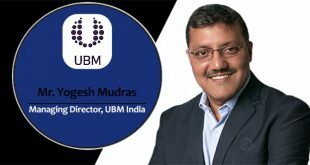 Mr. Sudip: As we all have experienced that monthly GST Payments are eating up a major chunk of our profits as the payments from the channel or partners come later. The Govt should look into this aspect very seriously as it is hitting the traders very badly. We are in a growing economy but if business community is not enjoying the benefits of the reforms, then these reforms are not worth the salt.